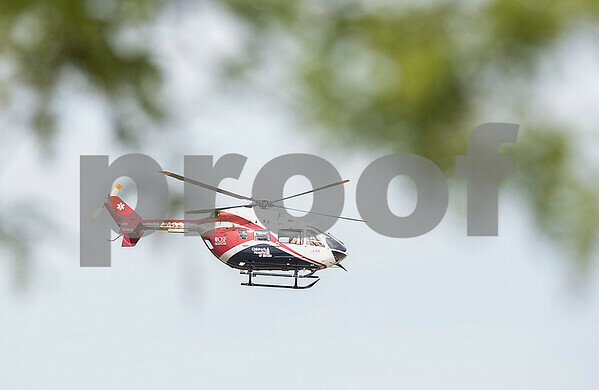 A helicopter from OSF Saint Anthony Medical Center in Rockford takes off from the Northern Illinois University Convocation Center after the mock explosion during the emergency response training exercise on Friday, July 10, 2015. More than 200 law enforcement and fire personel from local and state agencies participated in the drill which simulated an explosive device going off in the NIU Convocation Center. Actors portraying victims were transported to Kishwaukee Hospital.